The Avanti Go Cup is well priced for the quality. 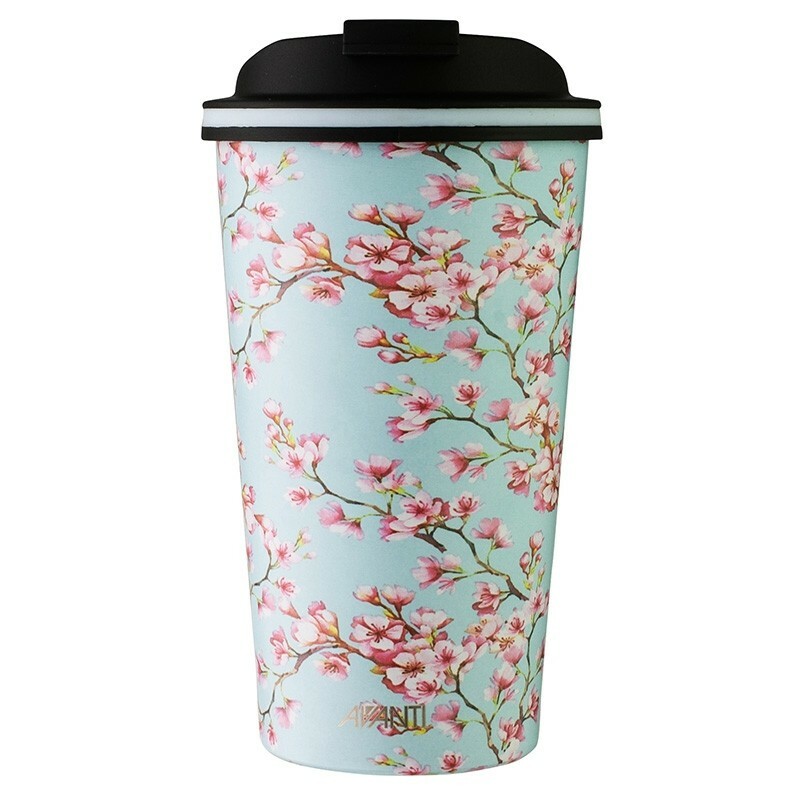 This double wall vacuum insulated stainless steel cup is designed mainly to be used as a reusable coffee cup, but you can drink cold drinks in one too. The lid screws off to reveal a nice rounded drinking lip with the thread inside the cup so you can use it just as a cup wtihout the lid. The lid screws in to place firmly, so there's no worry about it popping off while it's full of hot liquid. The cafe cap drinking hole is covered with a flap that clips securely in place. While it's advised to keep this one upright at all times, if you knock it over, you should only lose a few drops.